Look for a cute toddler with a bright smile. Now look to see who she’s attached to. Emmy sticks to me like glue, which is interesting because Charlotte is the opposite. Charlotte has been fiercely independent from Day 1. She has no problem walking into a room full of new people and simply throwing a casual glance back to mom and dad. Emmy, on the other hand, is either in my arms or clutching onto my leg. If I dare put her down, she turns red in the face and screams at the top of her lungs. She holds her arms in the air, desperately pleading with me to pick her back up. Emmy didn’t appreciate my disappearance one bit. Yes, it would be lovely to use the restroom without hearing heart-wrenching screams on the other side of the door. And it’s exhausting to hold twenty pounds of toddler all the time. But I suspect that when she’s a teenager, I’m going to long for these days. 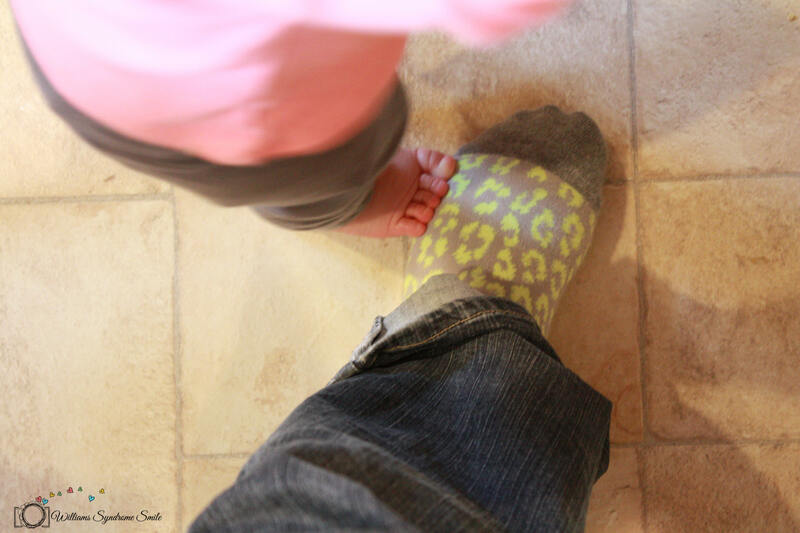 I have a feeling that I’ll miss those little toes following me everywhere.